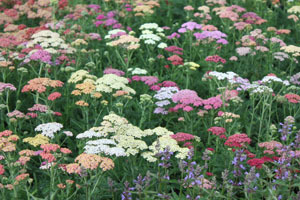 A massed planting of 'Summer Pastels' will provide a variety of pink, red. white and yellow shades. Flowers are densely packed on large, flat-topped clusters. Use in mixed gardens, cut and dried flowers and crafts.